Are your staff trained to handle the modern social engineering digital attackers are using to breach networks and systems? If you answered anything other than yes, this post is for you. Learn about the costs and risks of a data breach and how you can prepare your staff to avoid these occurrences. 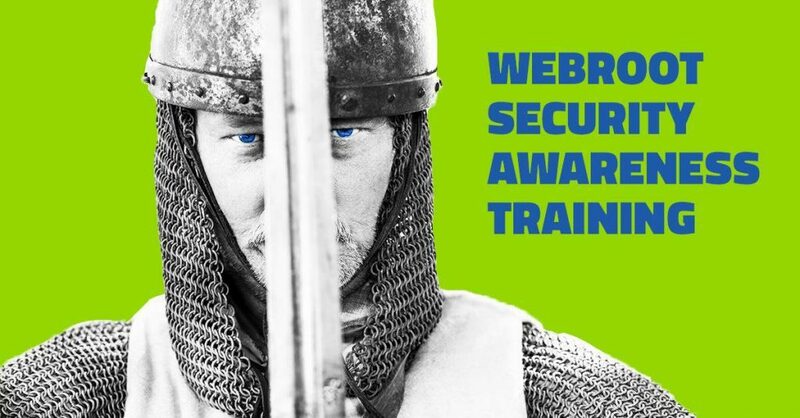 Here at 919 IT Solutions, we are utilizing our partnership with Webroot to offer security awareness training to our clients. With access to over 28 courses that are efficiently paced for completion under 20 minutes each. Your employees can learn a multitude of topics that are common sources of data breaches. If your business falls into a compliance standard like HIPAA or PCI there are modules available to customize your employee training. Gone are the days where only your technical staff need to be trained and aware, every employee is susceptible. In Ponemon’s 2018 Cost of a Data Breach Study, they estimate the average cost of a breach is $3.86 million, a 6.4% increase from 2017. The average cost per record is $148, up from $141 in 2017. These costs can be devastating to a smaller business as it risks the livelihood of the entire business. Therefore, businesses are changing their minds about security awareness training. Instead of a select group, everyone is given access to training. Some even set the training as a requirement when onboarding new employees. Factors that influence the cost of a data breach include the number of records stolen, the time to identify and contain the breach, and loss of customers following the breach. Your customers trust your business and expect their data to be safe. In organizations that lost less than 1% of their customers due to a data breach resulted in an average cost of $2.8 million. Noting the costs of a data breach we also need to recognize the root causes of data breaches. 48% of breaches were from malicious or criminal attacks, 27% from human error, and 25% from system glitches. Human error may seem mild compared to the percentage of malicious or criminal attacks, but human error is what enables most data breaches. Therefore, we see security awareness training as an essential priority for all businesses. Employees are always being spammed with phishing emails, malware, fake invoices and they need to know how to identify these fraudulent items in real time. If your business is interested in signing up for security awareness training Contact Us today!